Longpoint has really set the bar for what HEMA tournaments can be, and over the years it has developed an ever-evolving rule-set that promotes solid martial arts over pure gamesmanship. 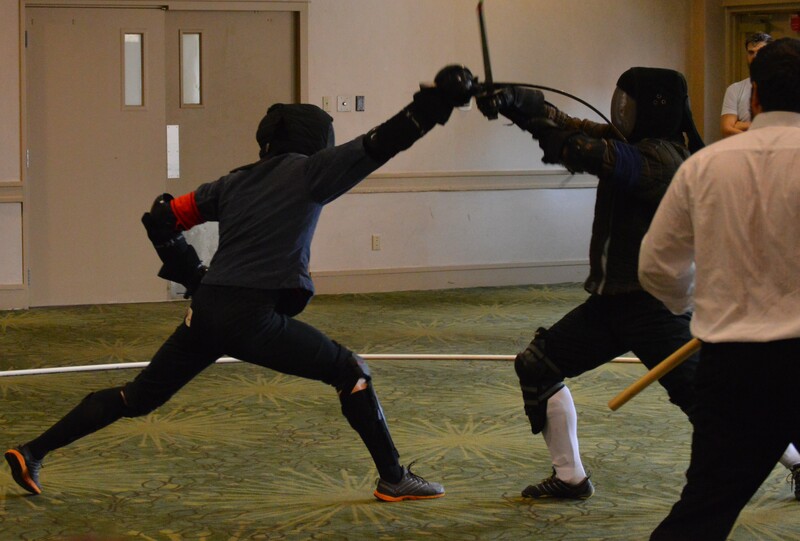 Last year they also introduced the Triathlon event, where competitors must compete in the Steel Longsword, Ringen and Cutting events in order to place. This highlights that being a good fighter goes beyond merely being a fast moving athlete who’s good at playing tag, but rather a well rounded martial artist overall. This year the Longpoint team took things further to include a Paired Forms tournament, which rewarded those who study straight from the historical sources (which is the very foundation for everything we do in HEMA). If you’ve never been to Longpoint, do yourself a favor and reserve a spot the moment registration is open. It has a very professional feel (despite being run solely by volunteers for the pure love of it), and it gets better and better every year. Tim Hall (left) peforms an Ansetzen againt Axel Petterson in the Messer tournament. Now, the HEMAists site is meant to be a resource for all things HEMA, and not merely a vehicle for those of us at the Virginia Academy of Fencing to celebrate our school. But you know what? VAF had a team of competitors at Longpoint who put up a pretty dang spectacular performance, who worked pretty dang hard, and we’re pretty dang proud of that. VAF won the trophy for the Team Competition, and all in all took home 9 medals. And we worked our butts off in countless hours of training. Further, we hope to inspire others to come to Longpoint 2015 next year in the spirit of friendly competition and wipe the floor with us so that we have more excuses to train even harder. There’s always someone better, and we want the constant inspiration to push ourselves to be the best Historical European Martial Artists that we can be. In light of this, we made a highlight reel of our performance at Longpoint for team VAF. We hope you enjoy it.